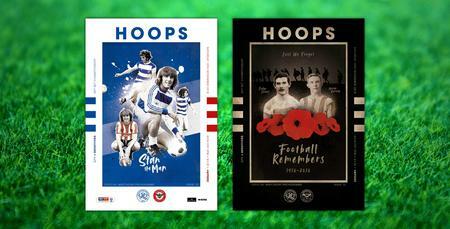 Hoops: Pick up your #QPRSHU programme! 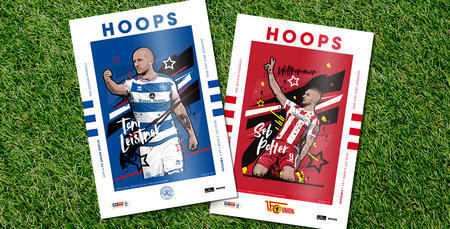 THE complete version of your new-look 'Hoops' – the official matchday programme of QPR – is out tomorrow, with Rangers set to kick off their home Championship campaign against Sheffield United in W12. R’s fans were given a 36-page taster of the 2018/19 publication for our pre-season friendly against FC Union Berlin at Loftus Road two weekends ago. And this Saturday’s edition is an 84-page effort that includes our new two-sided front cover! 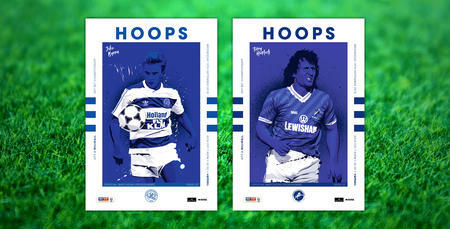 All season long, we’ll be featuring players who have starred for either Rangers or our visitors on the day. 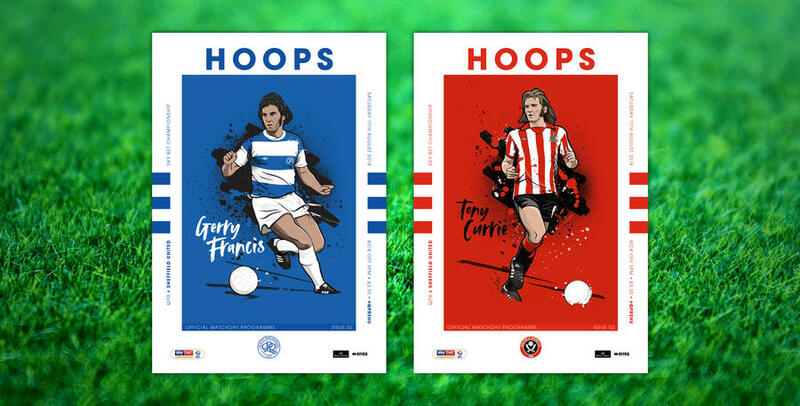 Gerry Francis (QPR) and Tony Currie (Sheffield United) line up this time around. This weekend’s programme also includes feature interviews with R's number 10 Ebere Eze - fresh from signing a new three-year deal with the club - and Forever R's inductee Wayne Fereday, while we’ve also words from boss Steve McClaren and recently-appointed skipper Toni Leistner. Elsewhere, Clive Whittingham (Loft for Words), Tony Incenzo (talkSPORT), Andy Sinton (club ambassador), Sharon Smith (Irish R’s) and Aidan Magee (Sky Sports News) have all penned their latest columns ahead of our home kick-off, and visitors Sheffield United are profiled in detail, too. There are also four pages of fun and games for Junior Hoops, in addition to a cut-out-and-keep player poster (Bright Osayi-Samuel).